The Benefits of Capsaicin, a phytochemical found in chili peppers. Capsaicin is the all natural active ingredient in our Sinus and Allergy and Headache products. What makes this ingredient so powerful is its amazing ability to desensitize the sensory neurons associated with the trigeminal nerves causing it to decrease the output of “Substance P”, the chemical your body produces causing swelling and pain in your head and sinus cavity. Sinol has captured the power of capsaicin and combined it with other natural ingredients to provide sinus, allergy and headache sufferers with an all natural solution that is fast, effective and safe for everyday use. Capsaicin is a clinically proven analgesic or pain reliever. Extensive research has proven capsaicin to have an extremely high efficacy rate not only for severe migraine pain, but for headaches of all types. Headaches are created by a spasm or constriction of the blood vessels. Intranasal use of Capsaicin relaxes the blood vessels and relieves headache pain in minutes, with out damaging nerve tissue. Hospitals, universities and clinics around the world are using capsaicin for chronic headache patients with outstanding results. 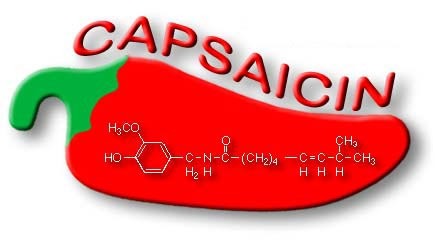 Capsaicin quickly and naturally breaks up congestion. Capsaicin desensitizes the mucous membranes in the nose, making them less irritated by airborne particles. Capsaicin promotes drainage and Sinol will keep your sinuses moist and bacteria free. “As a doctor who treats sinus and nasal conditions daily I find the use of nasal capsaicin extraordinarily helpful in relieving symptoms. In my experience the use of a dilute solution of capsaicin used as a nasal spray is more effective than any nasal spray preparations, prescription or non-prescription, on the market. The success of capsaicin is not surprising since it blocks the nerve in the nose that is responsible for the troublesome symptoms of nasal and sinus disease.” Dr. Chester recommends Sinol-M to his patients. Dr. Michael A. Kaliner, MD Medical Director of the Institute of Asthma and Allergy, Wheaton, Maryland USA.